Nineteen leading Malaysian entrepreneurs from a number of economic sectors recently attended a one day corporate social responsibility seminar designed for them by colleagues in the Faculty of Business. During their visit, which was organised by Plymouth Global, they participated in a networking lunch with local entrepreneurs and business leaders, which resulted in a number of business opportunities being identified. The delegation was led by Dato Michael Tio, the CEO of PKT Logistics, the parent company of Peninsula College Malaysia, which is the newest trans-national educational partner of the University. From next year Peninsula College will be delivering University of Plymouth programmes at four locations including a new state-of-the-art campus in Penang. The delegation brought a journalist with them, ensuring that the profile of the University will be raised in Malaysia. 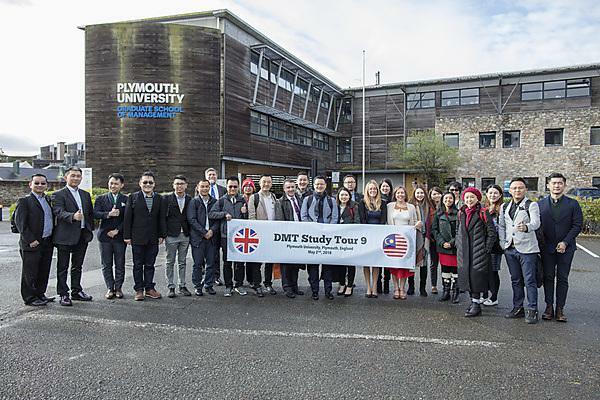 The University of Plymouth has strong connections with Malaysia, and has been welcoming students from the South Asian country for more than 20 years. Its School of Geography, Earth and Environmental Sciences has also been sending student field trips there for many years, and has links to the Forest Research Institute.